Maximus Anchor Wood ... mega slab. RAK Ceramics, which is currently supplying hundreds of thousands of tiles and sanitary ware products to more than 40 projects in the UAE, is positive about the outlook for 2016 on the back of an eventful 2015. These medium- to large-scale projects include residential developments such as Akoya Villas and Golf Apartments by Damac (237,000 sq m of tiles), Al Habtoor Residences (277,500 sq m of tiles) and Mira Townhouses, Al Qudra (20,654 pieces of sanitary ware). This is in addition to commercial projects such as Abu Dhabi Airport terminals (18,000 sq m of tiles), a number of schools around the country, and police/army accommodation in Dubai. Recent major projects also include the expansion at Dubai International Airport where unglazed gres porcelain tiles were used as well as tiles from its Wood Art collection and a selection of ceramic wall tiles. In Saudi Arabia, it has supplied 230,000 sq m of high-quality porcelain tiles for the Princess Nora Bint Abdul Rahman University, including salt and pepper gres porcelain tiles as well as its best-selling Lounge series and a selection of ceramic wall tiles; and Al Jawharah Tower in Jeddah, where its tiles from its Crystal and Lounge series were used. One of the largest global ceramics manufacturers, the Ras Al Khaimah headquartered company says by the end of 2015, around 70 per cent of products manufactured in the UAE were exported, mainly to Saudi Arabia and Europe, which is the largest importer of its products. “The company is looking at building on that growth this year by further expanding its exporting capabilities, and drawing on its strength in distribution and scalability to increase exports to its existing markets and expand its presence in under-explored markets,” says Abdallah Massaad, group chief executive officer, RAK Ceramics. In terms of business last year, RAK Ceramics witnessed a busy 2015. Massaad says: “The company delivered on its promises to investors. It followed through with its Value Creation Plan to exit non-core loss-making businesses and expand core businesses, and took great strides in restructuring its management team, corporate governance structure and risk management activities. These efforts resulted in robust Q3 performance results for RAK Ceramics, with a strong net profit growth of 43 per cent at Dh82.1 million ($22.35 million), compared to a Q3 2014 profit of Dh57.4 million ($15.62 million). For 2016, RAK Ceramics’ focus will be on strengthening existing markets and expanding into new territory, says Massaad. RAK Ceramics ... wide range of products. “In the Middle East and Asia, mega-events such as the Expo 2020 in Dubai and the 2022 Fifa World Cup in Qatar are setting the pace for sustained growth in the ceramics industry thanks to new infrastructure developments. 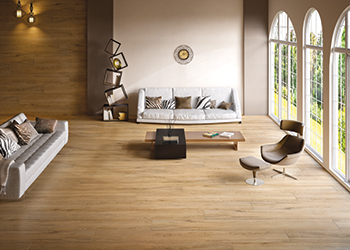 Demand for tiles alone is expected to grow by as much as 10 to 12 per cent by 2020 in the GCC, according to a recent report by Frost & Sullivan. “Additionally, RAK Ceramics’ global sanitary ware capacity will expand to meet increasing demand around the world and support revenue growth in this very important market segment. Its sanitary ware capacity will increase by 22 per cent in the UAE, 52 per cent in India and 25 per cent in Bangladesh. “With a focus on efficiency and strength, RAK Ceramics will maintain its position as a top-tier player in its focus markets — the Gulf region, India and Bangladesh — and be among the top-five exporters to high value markets in Europe and the Middle East and North Africa (Mena), while strengthening its presence in the US, Africa, South East Asia and Russia over the long term,” he adds. RAK Ceramics, established in 1989, has become an industry leader operating 14 plants in the UAE (10 tiles, two sanitary ware, one tableware and one for faucets), as well as plants in India, Bangladesh and Iran. Additionally, it has a strategic presence and offices in key markets such as Europe, South East Asia and South America. With an annual production capacity of 110 million sq m of tiles, five million pieces of sanitary ware, 24 million pieces of porcelain tableware and 600,000 pieces of faucets, it is one of the world’s largest manufacturers of ceramic tiles and sanitary ware, managing a network of offices, manufacturing plants, and warehouses around the world from its base in Ras Al Khaimah. Its subsidiary RAK Porcelain sells 24 million pieces a year to the hotel, restaurant and catering sector across more than 135 countries and has around 15,000 star-rated hotels among its customers. 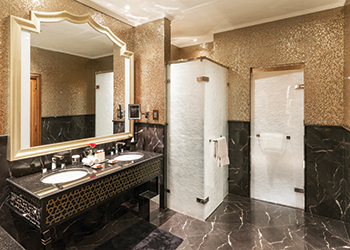 RAK Ceramics has also supplied a range of bespoke luxury tiles and water-saving faucets from Kludi-RAK to the prestigious Waldorf Astoria, Ras Al Khaimah. RAK Ceramics is a leader in technological innovation and considers technology to be a main competitive advantage. In March 2015, RAK Ceramics launched Maximus Mega Slab, the largest slab to be manufactured in the region, measuring a gigantic 135 by 305 cm. This unique extra-large sized slab was made possible following the company’s investment in Sacmi Continua+ technology. Maximus Mega Slab is RAK Ceramics’ most versatile product yet and will allow the company to compete in new markets. RAK Ceramics is an award-winning organisation. In 2015, it achieved Superband status for the seventh consecutive year. The company has also won a number of International Business Stevie Awards in 2015, winning a silver award for ‘Most Innovative Company’ and a bronze award for ‘Health, Safety and Environment Programme of the Year’. RAK Ceramics has also been awarded ‘Brand of the Year’ at the prestigious World Branding Awards 2015.